VERY POPULAR LOCATION! HOME ESTATE AGENTS are delighted to bring to the market this well presented three/four bedroom extended semi-detached property located on the cul-de-sac of Wibbersley park in Flixton. 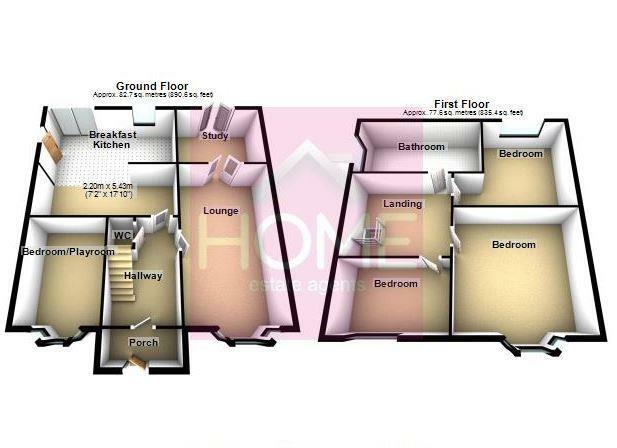 This sizeable property boasts spacious living accommodation to all floors. Tastefully extended this great family home is located close to all local amenities and is within the catchment area for several popular schools. The accommodation comprises of porch, entrance hallway, bay fronted lounge, study, extended kitchen/diner, playroom/bedroom four and downstairs WC. To the first floor is the shaped landing the three spacious bedrooms and modern fitted bathroom. The property is double glazed and warmed by gas central heating. To the outside front is a large gated driveway offering ample off road parking. Whilst to the rear is a private mainly lawned garden with several raised decked patio areas. The garden is very spacious and enjoys a sunny aspect. To book your viewing call HOME on 01617471177.